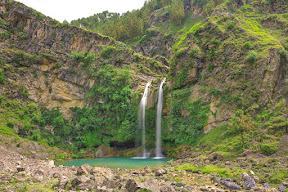 The water fall is 20-25Km away from havelian near the village Sajikot. The waterfall is a good place to visit. The path to descend the waterfall is steep one must be careful with that. The road leading to the waterfall is very fine can travel by car, jeep and motor cycle. April 14, 2016, 12:41 p.m.